Positively Miscellaneous: "Be My Wife." "Please be mine, share my life, stay with me, be my wife." -David Bowie, "Be My Wife." This past weekend was a happy time: the wedding of one of my oldest and dearest friends, Kim. She and her husband, Kyle, got married in Breckenridge, which was absolutely beautiful (if a little windy). 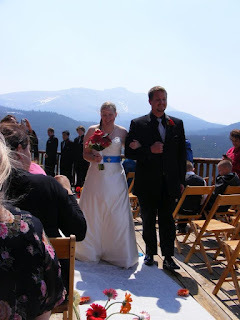 The rehearsal dinner was held on a train--the Georgetown Loop, which I enjoyed immensely. Here are a few scenic pictures of Breckenridge and the train ride. The bride and groom on the train. The wedding itself was beautiful, and also rather windy. 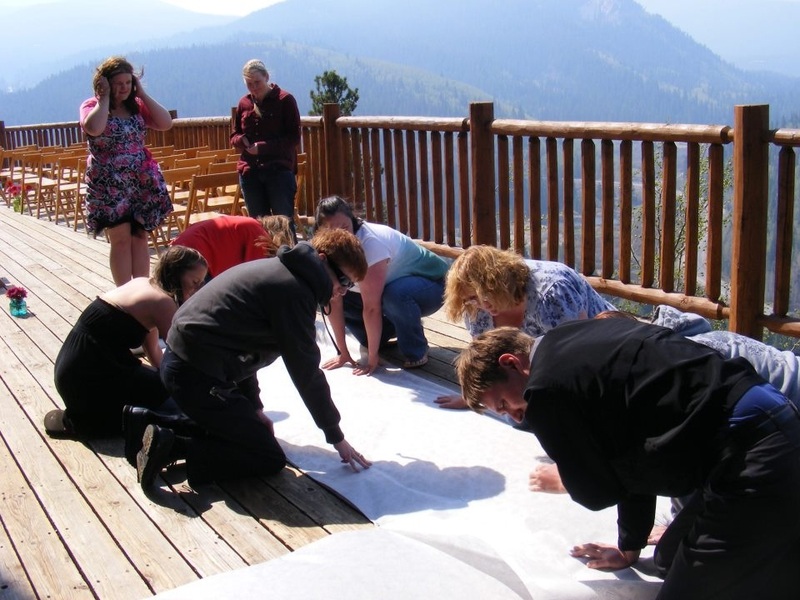 It took a whole team of devoted people to roll out and tack down her isle. My love for Kim in action! That's part of being close to the bride and groom and it being their special day and all. It was definitely an adventure. But seeing the happy couple more than made up for the amount of work needed. And everything looked just right. 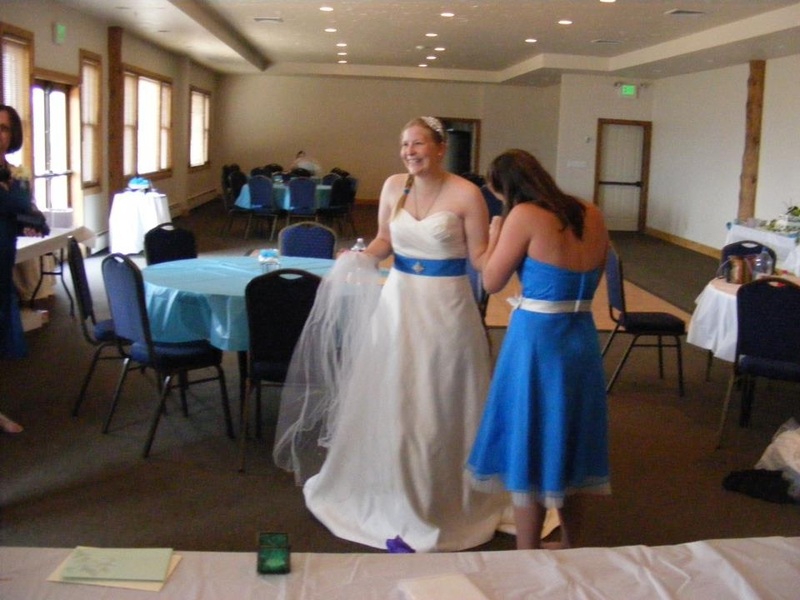 That's another interesting thing about weddings: they always seem to come out perfect. Watching the bride walk down the isle was very satisfying. Definitely worth it. Women always looks extra beautiful on their wedding day and I loved seeing the look in Kyle's eyes and hearing his voice soften when he spoke to Kim. The beautiful bride getting ready for her grand entrance! And luckily, I think our bridesmaid toast went well! We were both worried, especially with a joint speech that we had so little time to really coordinate. Kim started out about to cry, but we tried to keep it pretty light-hearted. 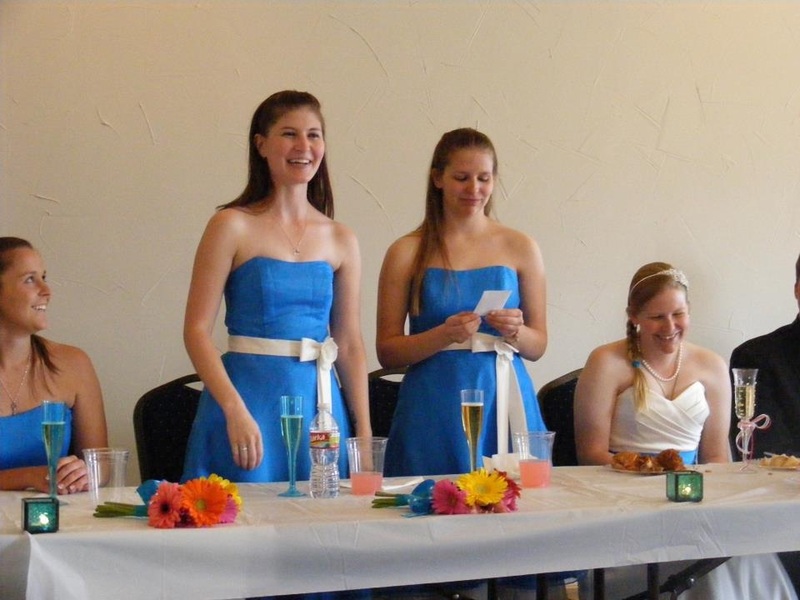 Here we are, co-maids of honor with the bride laughing. As a small side note, I loved our bridesmaid dresses. 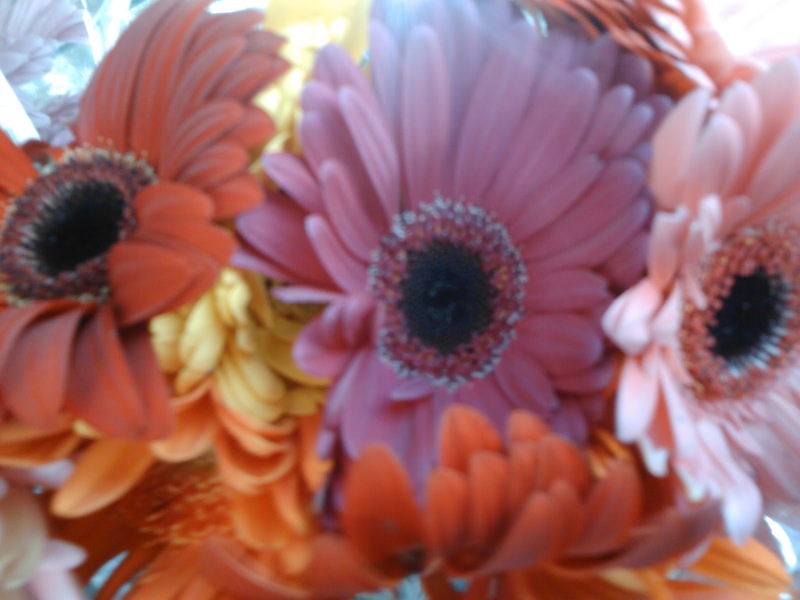 Aren't they beautiful? Here's to a happily ever after! To Kim and Kyle! Congratulations and best wishes!